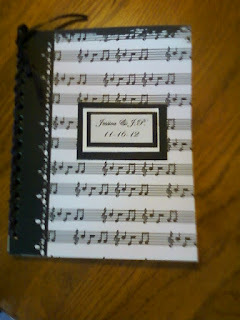 This is a custom 7" x 9" shoe string bound book that I created for a wedding today. 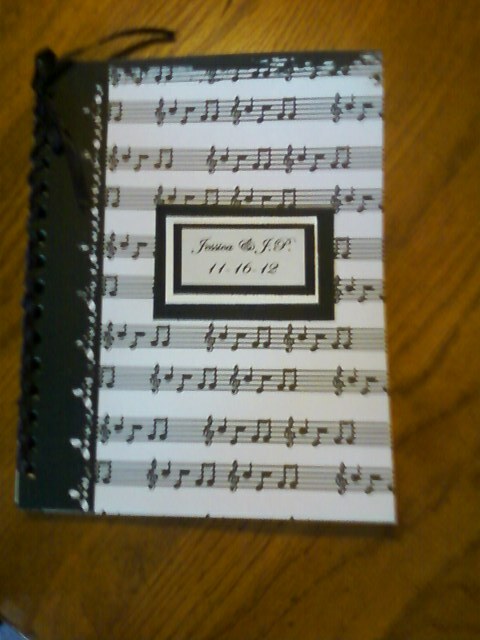 It was the last of the music note paper that I have in the white and black. Inside are blank white card stock pages for adhering photo stripes from the couples photo booth.